Megan Grehl is a design collective that works across architectural and interior design. The studio was founded by interior designer and stylist Megan Grehl in 2014. The firm specialises in bespoke residential and boutique commercial design, as well as offering interior-styling services. Based in New York, the practice is made up of a seven-person team of design professionals. The studio has completed work internationally, including projects in Shanghai, New York, Los Angeles and Paris. 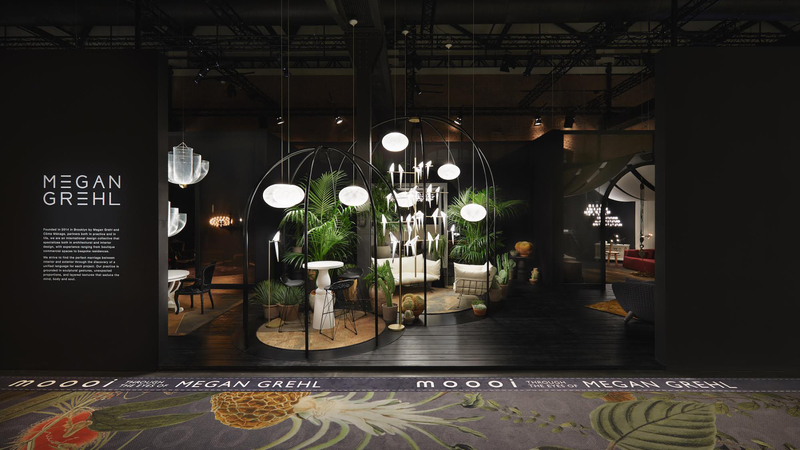 Pictured above is Megan Grehl's collaborative project with Moooi for Salone del Mobile at Milan Design Week 2018.